Happy Fall, y’all! I hope you all are having an amazing start to your year! In the last newsletter, I mentioned that I was very excited for rush, but it truly blew my expectations out of the water! While having the opportunity to meet the young men rushing was amazing, I had the most fun at Alumni Inspiration Night where I had the honor of speaking alongside some incredible men representing Sigma Chi. Thank you so much to all the Alumni that showed the young men rushing what it truly means to be a member of the greatest fraternity. And, because of your help, we were able to welcome 31 great young men into the house as Potential New Members. I have also taken time to get to know these young men and they seem to exemplify the same qualities and values as the active members in the house, which makes me incredibly proud! I have been active in trying to do my part with this process as being a resource for the young men if they need help with any schoolwork, need a listening ear, or even a meal! This way I find I can help eliminate some of their distractions and worries to prepare them to be the best and truest forms of themselves when their initiation comes. 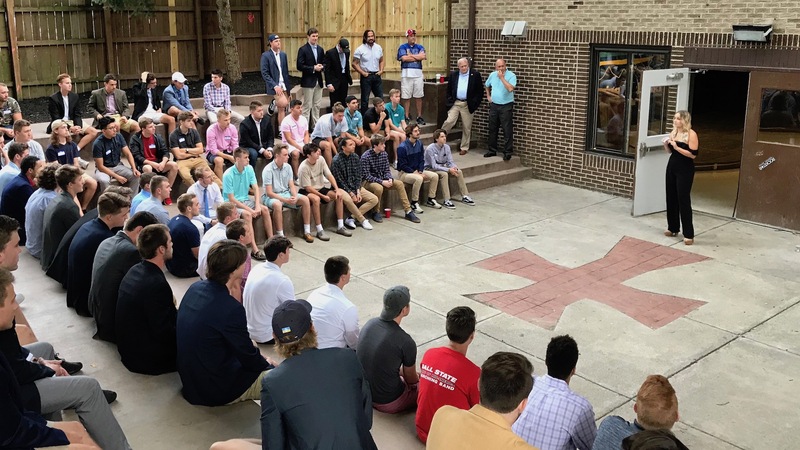 Another ‘thank you’ is in order towards the active members in the house, and especially to Julian Simmerman and Conner Wood for doing such a wonderful job recruiting some truly honorable young men. And to the Epsilon Omega alumni, they and myself are very excited to have the honor of meeting you during homecoming! I cannot wait to see you all there and welcome you back home to Riverside and to Ball State! Chirp Chirp and In Hoc!